Watermelon, Watermelon, on the vine... How many parts can you find?! 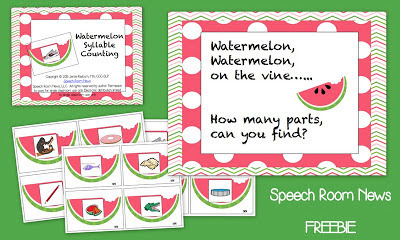 Grab this watermelon freebie to work on phonological awareness skills. Students pick a watermelon card and identify how many syllables are in the word. Clap it, tap it or heck chomp it to give your students the multisensory experience! 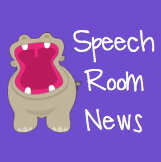 Click over the Speech Room News to grab the Watermelon freebie!